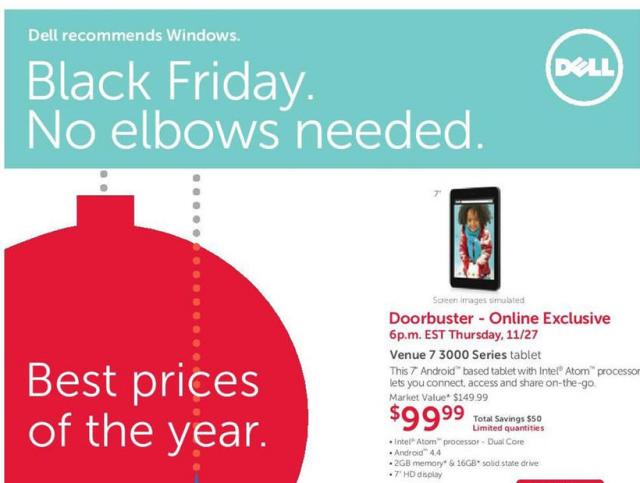 Dell's Black Friday and Cyber Monday deals began on Wednesday, November 25, 2015, with select laptops starting at $149.99, 2–in-1s at $299.99, desktops starting as low as $99.99, Alienware gaming PCs starting at $449 and tablets starting at $149 - and all purchases made on Dell.com come with the option of free shipping. Inspiron 14 laptop 3000 Series @ $149.99 – doorbuster starting Nov 26. 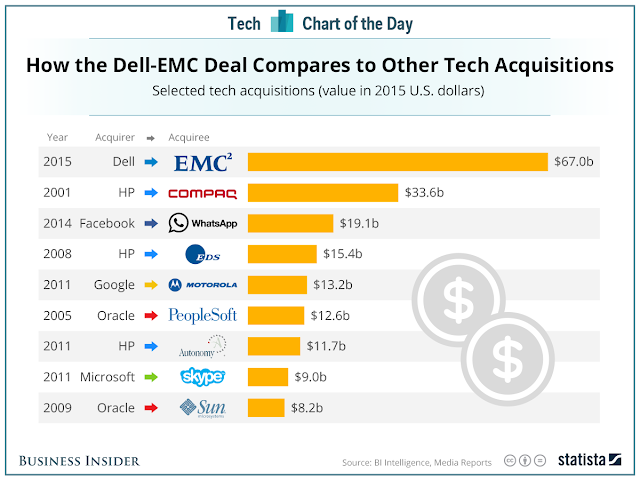 While Dell is Electronic Computer Manufacturing EMC 2 is a Computer Storage Device Manufacturing company. Another great chart from Horace Dediu at Asymco. 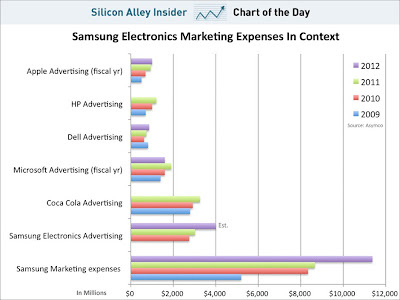 He looks at the advertising budget of Apple, Samsung, HP, Dell, Microsoft, and Coke. Why include Coke?  Because it's a huge advertiser, and its "primary cost of sales is advertising." 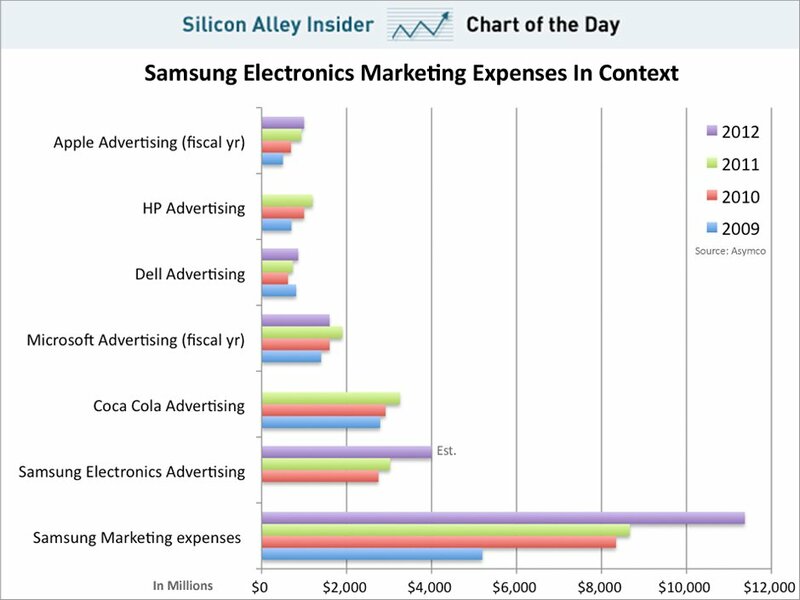 As you can see, Samsung is blowing all the companies away in advertising and marketing. Not a bad price to pay, if it means you get to become the world's biggest smartphone company. Certainly HTC wishes it had Samsung's marketing budget. View more presentations from Sumit Roy. The Social Brands Website has " launched The Top 100 table that has ranked the top 100 social media brands and published some key insights on how Companies are using the social Power of The web to influence key decision makers. The Social Brands 100 has found that 99% of the brands in its ranking are active on Twitter, making it the most popular online outpost for social brands. No real surprise. It is in many ways the easiest to get going on. Not necessarily to do well though. The survey, which ranked brands based on their ability to engage with connected communities, found geo-location outposts are not yet integrated into the social mix with only 22% of the ranked brands using the likes of Foursquare and Gowalla. More interesting still is that 45% of those who have started these using these services are now inactive. The Social Brands 100 survey was conducted by Headstream over a three month period from November 2010 when nominations were crowdsourced on Twitter. The Social Brands 100 was compiled over a period of three months with the contribution of an external panel of social experts drawn from business, academia, media and communications, and Brandwatch, the social media analytics data provider. Researchers quantitatively evaluated a whopping 30,000 tweets, posts, comments and likes and an independent panel of experts scored each brand and social media monitoring partner Brandwatch provided social media data analytics.